KIEV, Ukraine -- Ukraine's president has taken steps to wean his country away from NATO and the European Union, and move toward Russia, the presidential Web site said Saturday. 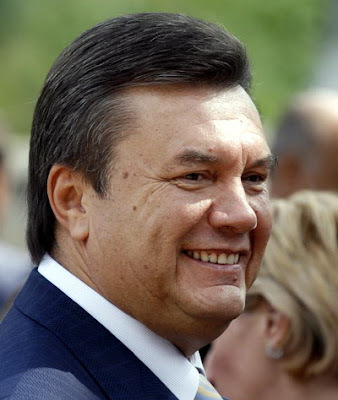 Ukrainian President Viktor Yanukovych abolished Ukraine's National Center for Euro-Atlantic Integration and two other institutes dealing with national and international security issues, RIA Novosti said. The previous president, Viktor Yushchenko, took strong pro-Western positions, the report said, often at the expense of ties with Russia. Yanukovych's power base is in the largely Russian-speaking eastern Ukraine, the report said, and he has promised to improve relations with Russia. Yanukovych says Kiev will stay out of all international defense blocs -- Yushchenko had tried to get closer to NATO -- and that it is too early for European Union membership.